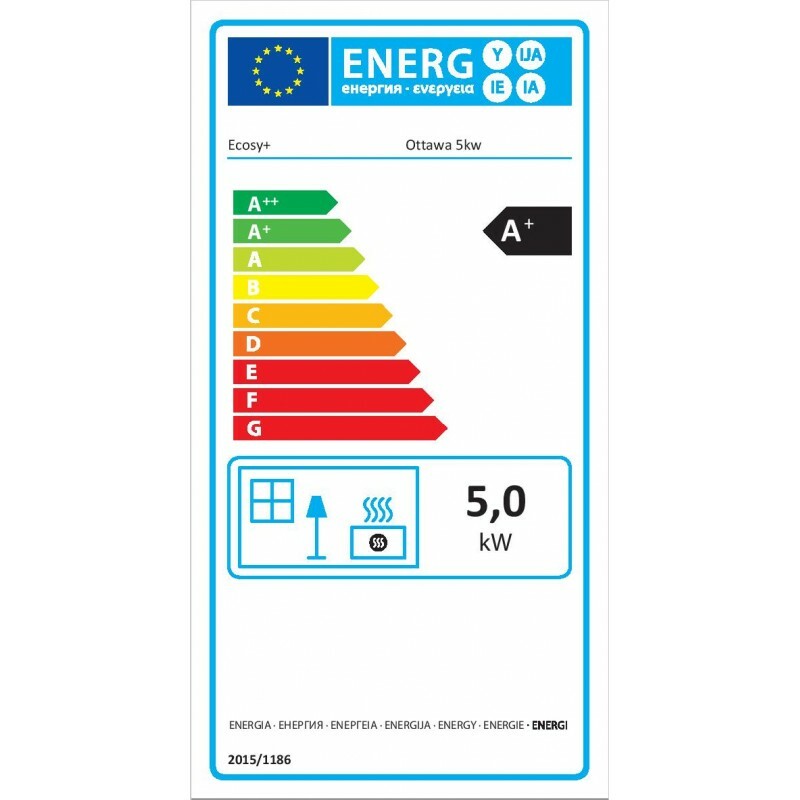 This advanced unit has been designed by our brand Ecosy+ as an advanced clean multi-fuel / wood burning stove that is built to last for years to come. 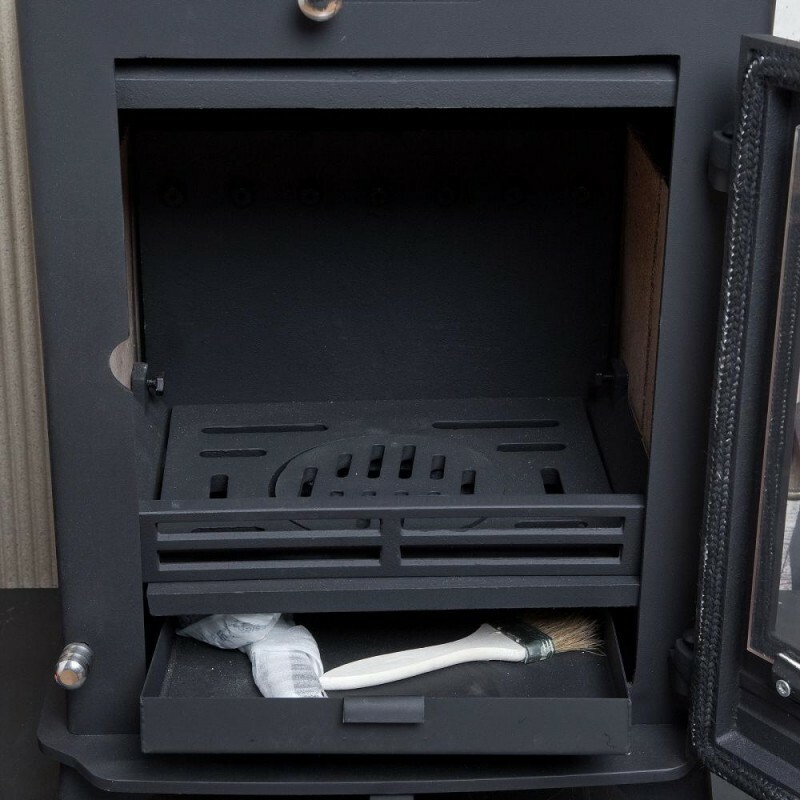 The stove incorporates an advanced tertiary air system ensuring a clean and efficient burn. This stove is wonderfully hand constructed and incorporates a large square glass door. 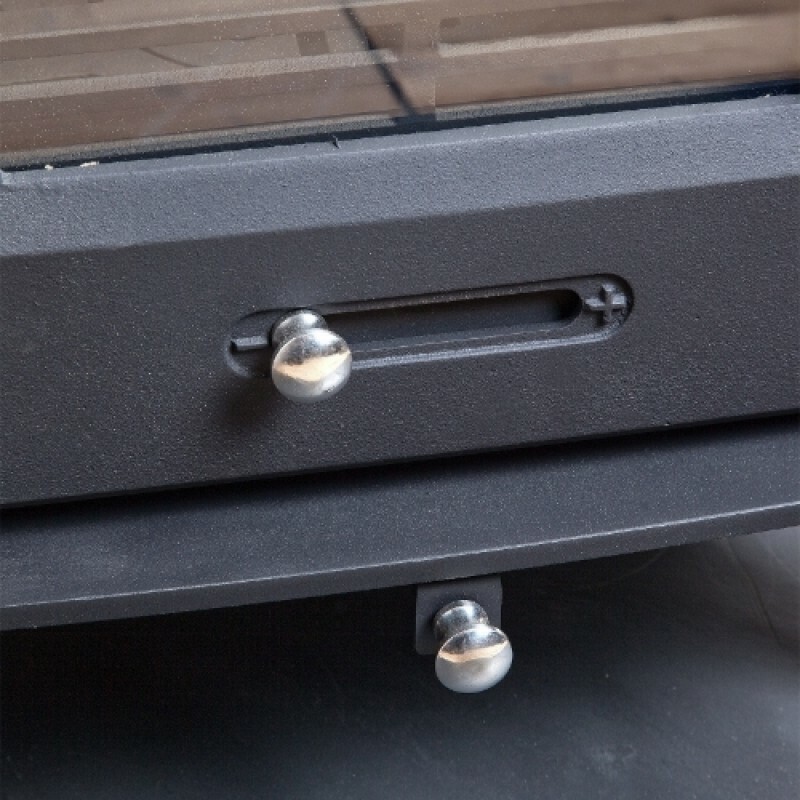 The Ottawa is made from thick steel plate and is finished to a very high standard in our own factory. Clean lines make it suitable for a wide range of décor, styles and tastes. 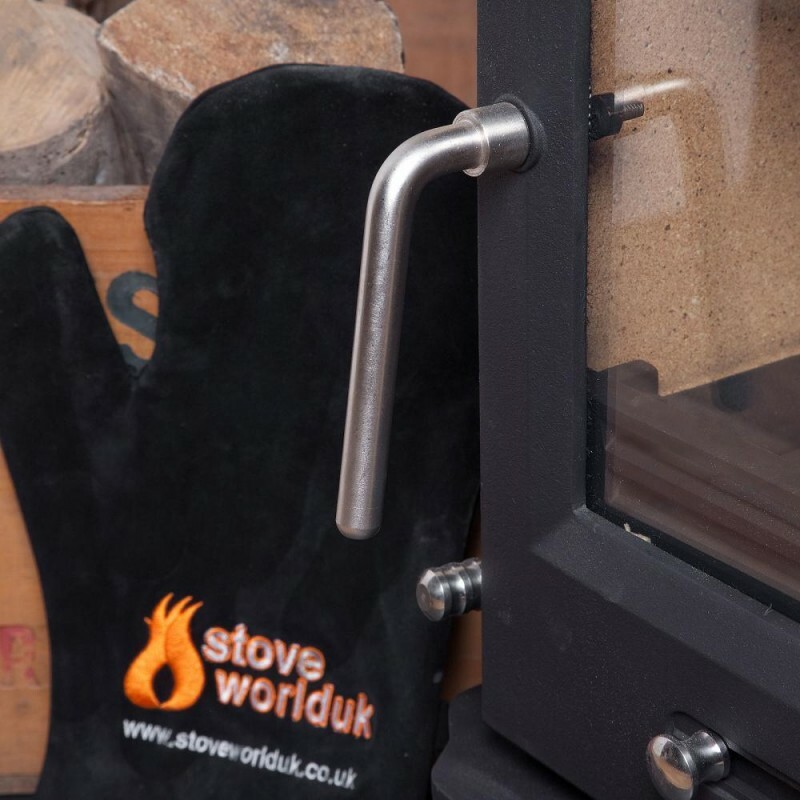 The stove is a multi-fuel stove that will deliver a reliable source of heat with an accurate degree of control. This version of the Ottawa 5 wood burning stove has been rigorously tested and approved to burn wood and smokeless coal in a smoke controlled zone. Fitted with a mechanical stop to prevent secondary air closure beyond the 31mm open position. Another adavantage of having a DEFRA approved stove is being able to install 5" flue liner. On a non DEFRA unit a 6" liner is generally required. When ordering over the phone please specify that you require the DEFRA version. We also offer a non-DEFRA approved version of the Ottawa 5k. The Ottawa wood burning stove has an advanced tertiary clean burn system that is controled by a chrome pull lever on the base of the stove. This lever opens and closes a vent that pulls air over the fire, re burning the initial smoke emitted by the stove. This makes the stove a lot more efficient and eco friendly saving you a large amount on fuel costs. (This covers the stoves body and not the internal perishable parts like grates and fire bricks.) 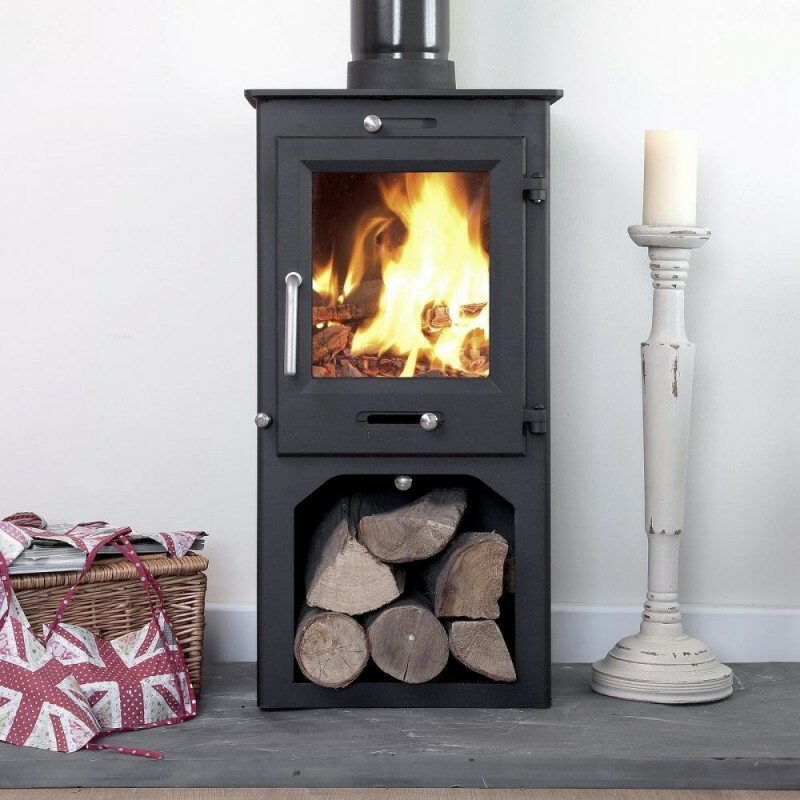 Wood burning stove guarantee is activated when the stove is invoiced. 6 digit number on the top of each invoice is the warranty number. This is a common question we get asked and understand why people will sometimes wonder how it can be done so cheap. We design a large amount of our products and they come direct from our factory to us. This completely cuts out any middle men. We can stock over 2500 wood burning stoves at any one time and ship direct to the end user with no showrooms. We always suggest prospective buyers take a look at our glowing feedback that currently has over 7000 positive comments on our stoves and stove products. 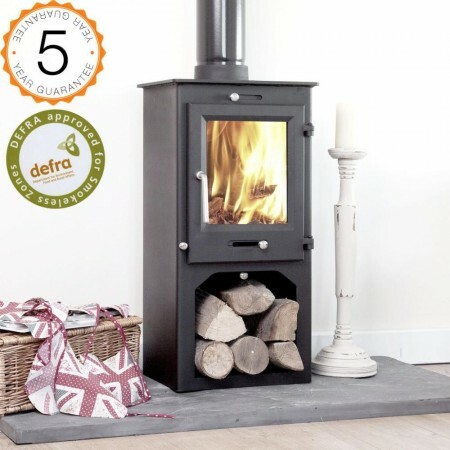 Please note that this is the price for delivery of DEFRA APPROVED, 80% efficient, Ottawa 5kw Stand Contemporary Wood Burning Stoves Multi Fuel. 5 YEAR GUARANTEE only. The final amount might change depending on the contents of your shopping bag when you check out.